For reasons no one can explain, a strange tremor passed through much of the earth on November 11, 2018. According to the first link, second link, and third link, which describe the event, the tremor apparently originated near Madagascar and was felt in South America, Canada, New Zealand, Hawaii, etc. This odd tremor lasted 20 minutes and did no surface damage; however, scientists are at a loss to explain what caused it or why it happened. Earthquake activity is one cause that is obvious speculation, but some scientists are saying the measurements of this tremor do not look like earthquake activity. One source stated “Its something quite new…,” and another observed it was “too perfect to be natural.” A third source is quoted as saying that “It was as though the planet rang like a bell.” Another theory asserts that “magmatic movement” may have triggered this planetary tremor, meaning that movement in the earth’s magma layers may have caused this unusual earth tremor. 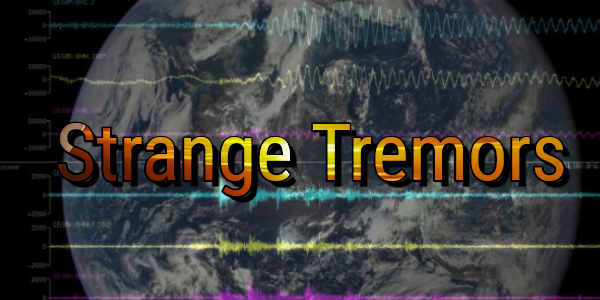 One thing I believe is certain: the tremor was caused either by (A) a natural planetary phenomenon, (B) man-made events, or (C) spiritual or non-earthly origins. I see no other alternatives. Let’s consider these options. Any kind of magma movement or seismic activity would classify as a natural planetary event causing this tremor. It is also true that it may be some physical phenomenon that mankind has not previously experienced. Modern mankind’s ability to understand our planet’s activity is largely limited to the industrial age when we have been able to measure planetary events and activities. However, the entire industrial age is a mere eye-blink in terms of the cosmological age of our planet. Our earth may have natural cycles about which we know nothing because they may take place over millennia or even eons. This tremor may have been a symptom of an earthly cycle that is normal, but one which mankind has not experienced in recorded history. The fourth link comments on the connections between the earth’s magnetic field and movements of magma or the mantle under the earth’s surface. Notice that it comments on the interrelationship between magma/mantle movements with possible reversals in the earth’s magnetic field. Just a few days ago, I posted about the accelerating movement of the earth’s magnetic pole from its former location within Canada to its current position nearing Russia’s north coast (fifth link). That post examined the possibility that we may be approaching a “flip” of the earth’s magnetic field which would cause havoc with modern mankind’s technology which is dependent on electricity and fine-tuned electronic instruments of all kinds. That post cited scientific sources which report that the earth has had many such pole reversals in its history and that it is currently overdue for such a magnetic pole reversal. Given the known connections between the earth’s magnetic field and subsurface movements involving the earth’s magma and mantle, could this odd planetary tremor be a typical precursor to a flip of the magnetic fields? There is no way of knowing because modern mankind has no records of what kinds of planetary phenomenon precede a reversal of the earth’s magnetic field. However, this possibility does need to be considered. If a reversal of the earth’s magnetic field is drawing near, we may experience other unusual or unprecedented planetary “signals” that such a pole reversal is nearing. Could this earth tremor be a man-made event? For years, there have been reports that HAARP or some kind of tectonic or directed energy weapons can create earthquakes, affect hurricanes or cause other planetary effects (sixth link). The Hadron Supercollider in Europe also is conducting experiments that seek to understand the links between our physical world of matter and the quantum world that also exists. Such experiments have documented that “spooky action at a distance” does occur at the subatomic level where subatomic physical particles become “entangled” in a quantum connection which is not understood. One cannot dismiss that high-tech, secret projects conducted by clandestine agencies could cause planetary effects which we (or they) may not understand or even anticipate, but this is a speculative possibility. The third option is that this odd planetary tremor has a spiritual or non-earthly origin. A few months ago, I examined a biblical theme which I don’t think many Christians have considered. That post was entitled “The land will spew you out,” and it focused on a divine warning to the ancient Israelites that there is a connection between weather and atmospheric behavior and the spiritual condition of human beings living on a region of land (seventh link). Leviticus 18:28 and 20:22 warned the Israelites that the land and weather would bless them if they were obedient to God and that it would turn against them if they were disobedient. This scriptural warning is a serious one as it indicated that sinful conduct among human populations could cause natural earthly weather phenomena to become so damaging that the sinful people would be forced to abandon the land. This scripture indicates that there is a direct connection between the spiritual “temperature” of a people and what kind of weather or atmospheric conditions they will experience. This begs the question: If all mankind steadily becomes more sinful, does it mean the entire earth will become more hostile to the sinful population living on it. The answer would seem to be “yes,” and since II Timothy 3:1-9 prophesied all mankind would become very sinful in the latter days, we might expect planetary weather to steadily deteriorate. Earthquakes, droughts, tsunamis, and hurricanes were specifically prophesied for the latter days (Matthew 24:6 and Luke 21:25-28). Isaiah 24 and Revelation 8:6-13 warn of far more serious disasters that are prophesied to befall the earth if mankind does not repent. If you have not read the aforementioned two posts, I urge you to do so. Modern mankind has duped itself into thinking that God does not exist. Mankind is wrong. Romans 1:17-32 warns that there will be serious consequences for those who do not want to “retain God in their knowledge” (Roman 1:28). Psalm 14:1 warns that only fools believe “there is no God.” The reality of God can be proven in many ways. One way is that the Bible has many ancient prophecies about life on earth during the latter days which have specifically come to pass in our time. What may surprise many is that the facts of the Bible’s teaching about the pre-history of the earth do not at all conflict with science. To confirm these assertions, please read my free articles, Are We Living in the Biblical Latter Days? and Is the Earth 6,000 Years Old?